The internal frame style tent is designed to be mounted on our aluminum frames or your own wooden frame structure. 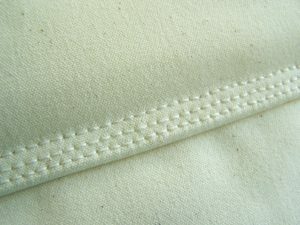 All our seams are triple stitched for long lasting strength and durability. Peaks, eaves and corner stress points are all reinforced with a strong fire retardant vinyl. A 12″ sod cloth is installed around the perimeter of the tent. Fabricated out of a premium quality 10.10 oz Fire Retardant Army Duck Sunforger Canvas, this fabric is water repellent and mildew resistant while retaining its breathability. NOTE: It is highly recommended that a fly be used at all times with the tents to ensure a dry environment. These are available in both a clear woven poly or in with a Fire Retardant Sunforger Canvas. 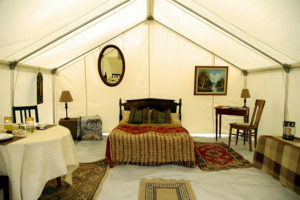 Our tents are fully customizable to meet every individual need. Following is a list of some of our most requested options. Get Tenting in Luxury Today! © 2019 Porcupine Canvas. All rights reserved.